"21 Magento Features To Increase Sales This Holiday Season"
"Odoo Meetup By Detroit ODOO ERP Meetup Group"
September, 21, 2017 : One Team US (Troy, Michigan) is excited to announce that the Eye Handbook Mobile App for iOS and Android platforms has surpassed 2 million worldwide downloads. One Team US is the developer this mobile app which targets at the healthcare market. “We have been involved with building mobile apps since we began in 2010 and this is truly an exciting moment that we have passed more than 2 million users. Of course, we think that the changes and additions that we made to the last update has helped us get over the hump. The last update included an overhaul of the previous design, including extensive reconstruction of form and function and its’ new availability on the Android tablet. This app is referenced daily by thousands of active user across the globe and has been very helpful to those in the Eye Care community.” says Kris Gazley, VP of Client Management for One Teams US. The Eye Handbook can be downloaded free of charge. 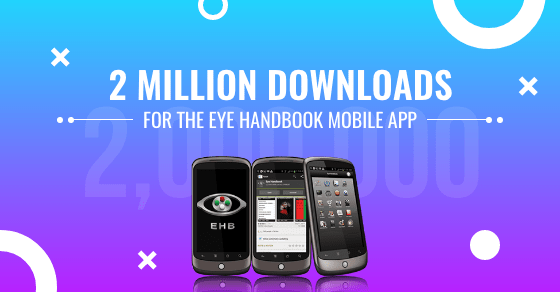 Simply go to www.eyehandbook.com or the Apple or Google Play stores. Michigan’s One Team US is a leading mobile app development, ERP, eCommerce, custom software, and software integration firm based in Troy, Michigan. To date, the organization has developed more than 200 mobile apps, many eCommerce sites, numerous Websites, and has been involved in innovative technology initiatives.